In the weeks ahead, proMX will continue its highly successful Roadshow Tour. The software specialist will be unveiling the brand new release of its proRM solution at CeBIT. The Nuremberg based IT and consulting firm, and winner of the “Microsoft Dynamics CRM 2011 Solution of the Year Award” is going on a Roadshow Tour with Microsoft. This tour is aimed at the service sector. The event delegation will be carrying a mixture of live presentations, case studies, and short workshops. The theme is the combination of the award winning solution proRM and Microsoft Dynamics CRM within the consultancy arena. The events will take place on February 27th in Berlin and on March 25th in Munich. proMX and Redmond-based software company Microsoft will give extensive coverage on the expanded functionality and numerous advantages associated with the Sales, Resource, and Project Management Solution proRM 2014. “As one of the leading Microsoft CRM partners, we are extremely happy with the trust that Microsoft has shown in us and the successful cooperation in both the conception, and the implementation of this first class event.” says Peter Linke, CEO at proMX. At the center of the event stands not only the theory behind the solution, but also its application in the day to day activities of consulting. Partners and other interested parties will find the experience invaluable. “We are looking to provide consultancy firms with a comprehensive picture of the many possibilities that arise from the combined solution of proRM and Microsoft Dynamics CRM. We have invited our customer, hhpberlin, to speak about their experiences with proRM, and to provide tips and tricks for optimizing the solution in the working environment,” continues Peter Linke. Through the optimization of its processes and projects, hhpberlin was able to reduce IT costs by more than 30 percent. For the second year in a row, proMX has been invited by Microsoft to present its acclaimed Sales, Resource, and Project Management Solution proRM in the Dynamics CRM Lounge at CeBIT. Other central themes at this year’s IT fair include Human Resources and Consultancy Services in the sphere of Customer Relationship Management. 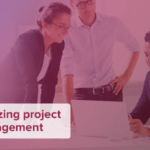 The proMX team will illustrate the extent to which proRM can improve both your Resource and Project Management. They will be at CeBIT from the 10th to the 14th of March in Hall 4, at Stand 26. proMX invites all-comers, but tickets are limited so it’s recommended that you make an appointment early. “This year’s CeBIT is the perfect platform for us to introduce the new version of proRM, which has only recently been released,” says Peter Linke, CEO at proMX. “We’ve put a lot of work into the new version, further developing the solution through the applications. The result will give customers an extremely high degree of flexibility at a great price,“ continues Linke. Combining Microsoft Dynamics CRM with the high-performance Sales, Resource, and Project Management Solution proRM provides consultancy firms with a comprehensive solution that covers all of the sector’s requirements for a top performing and customer friendly Project Management solution. 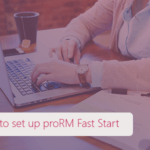 What’s more, it is available without significant expense since proRM is fully compatible with MS Dynamics CRM and is seamlessly integrated in it. After a successful business year 2013 proMX looks forward to an exciting year in 2014. proMX, the Nuremberg based IT and Consultancy house, and winner of the “Microsoft Dynamics CRM 2011 Solution of the Year Award” has continued its growth course in 2013 and looks confidently toward 2014.